Hello, I’m a Digital Performance Manager from Clermont-Ferrand, France. I hold a Bachelor degree in Business Administration. I currently work at Michelin Group, where I’m Digital Performance Manager. My main mission improve our online performance : Maximise the brand preference and distribute leads to the distribution. I was previously Online Acquisition Manager within Euromaster, the Michelin distribution subsidiary. There, the goal was to increase our online sales and develop customer retention. Graduated from a business school, my background is made of commercial development, project management, traffic & performance management. All of that thanks to digital data power. I had my first internet connexion in ’97 and I realized my first website in ’99. Since that period, I’m passionate by digital evolution. 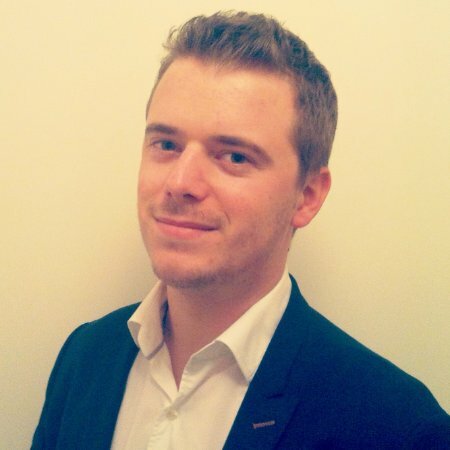 "Romain is a solid team member of the European Ebusiness & Digital Marketing team at Euromaster. He is serviceminded, always lending a helping hand when being asked and even more important curious to learn new things in order to improve. He has specific skills in SEO-area. Also social skills are on top, always a good feeling to be around Romain, a laidback person wanting to create result through ongoing eagerness to improve Linked'in reference"
"Romain has a great ability to listen and a great sense of adaptation, which allows him to delight customers, stakeholder for web project management. Linked'in reference"
"I had the pleasure to work with Romain a few months ago, on several Internet projects. Romain is a reliable professional and he was both responsive and really good at listening and answering to my/our expectations. I am glad to recommend him. Linked'in reference"